Last week a colleague and I met a donor for lunch for a stewardship visit; the donor’s recent gift had been generous. My colleague has known this gentleman for some time. The donor is a humble man who gives regularly but this last gift had been an exceptional one. As we talked about the impact of his recent gift, and about his life and family, it became clear that he wanted to recount his experience making this gift. This gentleman, now in his 70s, had been an immigrant to Vancouver from Uganda in the early 1970’s – just ahead of Idi Amin’s purges. Arriving in Canada with his wife and two children and very little else, he had to start over. He found work, then started a business and slowly built his fortune. When his children were teens, his family split apart and he gave nearly everything to his wife and children. Once again he had to start over. And this is how people remember him, not at the peak of his wealth but starting over. An important memory of this donor’s young life was a gift his father made to a local school. He remembered how much it meant to his father to support education. He the donor himself never finished his degree. Although he won a scholarship to a university in England, his father had died suddenly and he was called back to Uganda to run the family business. This donor wanted to make a difference too, and to continue the legacy of his father. So he was then connected with my colleague. They met and talked. My colleague listened. My colleague offered different ways to give. He talked generally about the needs in the education areas. The gift ended up being $1 million. What a surprise! No one knew this gentleman had so much to donate. Afterwards I was thinking about how as fundraisers we sometimes “measure” donors. Where do they fall along the donor pyramid, we wonder. As fundraisers, we need to stop and re-calibrate. Let’s stop producing more efficient (and less personal) thank you letters and start showing true appreciation for gifts donors share – whether it be time, talent or money. Let’s stop thinking in silos – such as “special event participants,” “direct mail givers,” online donors, major benefactors, monthly supporters, etc. – and start thinking about each donor as a whole person who may give many types of gifts, at many amounts over many platforms. Let’s stop luring donors to fall in love the first time and start creating lasting relationships. Fundraisers are in the relationship business, building relationships between the supporter and the nonprofit. And that authenticity and trust allows the donor to feel free to support the cause, wholeheartedly and without reserve. 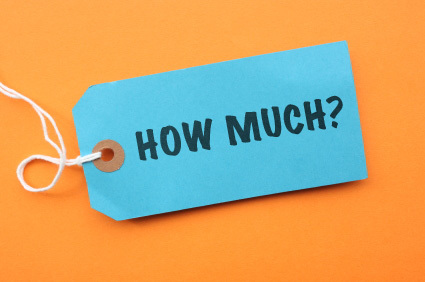 Stop with the, “How much?” even when it is in your head. Does your message say “I’m only interested in your money”? Love this story Beth. Thanks for sharing it! Love, love, love this. Thank you!